Although there continues to be much to learn about the physics of plasma most customers are more focused on the results of the process and how the modified surfaces can be tested. Even more questions are targeted at the type of tool that should be purchased, the facility requirements and the overall costs. Many customers don’t care how the plasma is generated, they care about the cost, throughput and the outcome. Although there are atmospheric systems for inline manufacturing, the majority of plasma treatments are conducted in low pressure vacuum chambers. So, from an engineering perspective, it can be important to understand the basics of what occurs within the plasma chamber. There are three primary cost drivers in any plasma system – the type and size of chamber, power generator and vacuum pump. 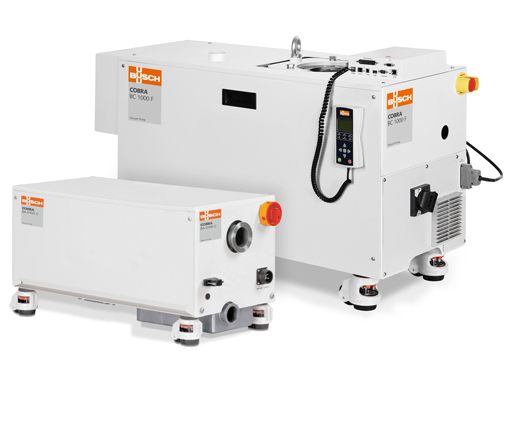 The duty cycle of the equipment can determine whether the most cost-effective vacuum pump option is wet or dry, for example. Most potential customers arrive with a pre-determined budget and delivery timeline. For this reason, companies like PVA TePla prefer to understand the parameters up front so they can tailor a solution that meets the requirements and throughput of the applications. If we understand the budget constraints going in, then we can configure the tool based on customer prioritized process requirements. This may involve configuring the system to meet some of the process requirements while keeping options open for future upgrades to meet the other requirements when more money becomes available. Still delivering a quote is only part of the battle. It is incumbent on companies like PVA TePla to assist customers in calculating COO to justifying the purchases to company execs. Generally we are helping the engineers, or the process engineers, develop the case for their ROI. As Head of Research & Development and Lead Scientist for PVA TePla America, Barden designs and develops custom surface coatings for the medical device and electronics industry. He specializes in nanoscale plasma enhanced chemical vapor deposition (PECVD), silane chemistries and self-assembled monolayers (SAMs). Barden manages both internal and collaborative R&D as well as contract processing.